Hang on a minute…no one asked my permission for time to pass so quickly! I am sure I should have finished this years novel by now. I obviously spend too much time reading Nell Peters’ blogs! Why not procrastinate with me and enjoy this months fabulous end of the month special. Anyone planning to watch the Eurovision Song Contest in May, coming from Portugal? I have to confess I haven’t bothered with it for many, many years – my bad. I didn’t know that Canadian, Celine Dion won the contest in Dublin on 30th April 1988 for Switzerland (how does that work? ), beating the UK entry by just one point. Yikes, that’s thirty years ago! She sang Ne Partez Pas Sans Moi (don’t leave without me) in the Simmonscourt Pavilion of the Royal Dublin Society, which was normally used for agricultural and horse shows. I just know a joke lurks there, but sadly it eludes me. Maybe just as well. The same venue hosted the 1981 contest, but when the performers lined up to take part in the 39th sing-off in 1994, also on 30th April, it was held at the Point Theatre, Dublin. Perhaps having the psychological advantage of being on home ground helped, because Ireland won for the third consecutive year, when Paul Harrington and Charlie McGettigan warbled a number called Rock ‘N Roll Kids, composed by Brendan Graham. That doesn’t ring even a vague bell for me, but the interval entertainment certainly does – the first ever performance of the Irish dancing spectacular Riverdance, featuring the Lord of the Dance himself, Michael Flatley, and Jean Butler. They are both American, although Flatley has duel US/Irish citizenship. 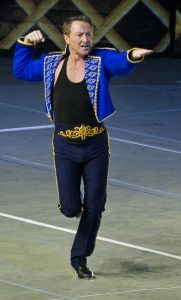 He hung up his tap shoes at the end of 2015, after an incredible forty-six years of performing and suffering a whole range of orthopaedic problems over the course of his career – he’ll be sixty in July. The last day of April features randomly in Dutch history, starting in 1804 when The New Hague Theatre opened. The Hague (Den Haag) is on the western coast of the Netherlands and nowadays is the capital of South Holland province; with a metropolitan population of more than a million, it is the third-largest Dutch city, after the capital Amsterdam and Rotterdam. The Hague is home to the Cabinet, States General, Supreme Court, and the Council of State, most foreign embassies and the International Court of Justice, plus the International Criminal Court. It is also one of the host cities to the United Nations. 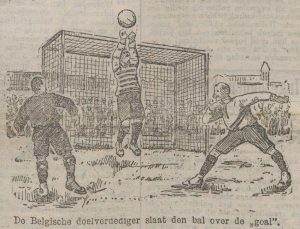 In 1905 on this day Holland played Belgium at soccer in the first of what would become a twice-yearly match, known as a Lowlands Derby. The Netherlands won the International Friendly 4-1, but the next time the teams played on 30th April – in 1975, the Belgians were victorious, scoring the only goal of the game. According to statistics published in 2016, the Netherlands had won a total of fifty-six games, Belgium forty-one and thirty matches ended in a draw. Moving along, wee Juliana Louise Emma Marie Wilhelmina was born on 30 April 1909, at Noordeinde Palace in The Hague to the reigning Dutch monarch, Queen Wilhelmina, and her husband Duke Henry of Mecklenburg-Schwerin. She was the first Dutch royal baby since Wilhelmina herself was born in 1880 and as an only child, remained heir presumptive from birth. 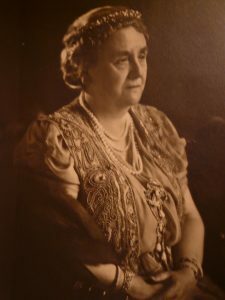 On her eighteenth birthday in 1927, Princess Juliana officially came of age and was entitled to assume the royal prerogative; two days later her mother installed her in the Council of State (Raad van State.) She reigned as queen from September 1948 until abdicating in favour of her first-born daughter (of four) Beatrix, on her seventy-first birthday in 1980 – the same day that the Iranian Embassy siege began in London. Celebrations of the national holiday, Queen’s Day (Koninginnedag) on 30th April 2009 turned mighty sour when 38-year-old Dutch national Karst Roeland Tates, drove his car at high speed into a parade which included Queen Beatrix, her son and heir Prince Willem-Alexander and other royals at Apeldoorn. Narrowly missing the royal family, the vehicle ploughed through people lining the street before colliding with a monument, killing eight (including the driver) and causing multiple injuries. It was the first attack on the Dutch royal family in modern times and happened on the same day that the UK formally ended combat operations in Iraq. Exactly four years later in 2013, Beatrix abdicated in favour of her son, who became the first male monarch in one hundred and twenty-three years. 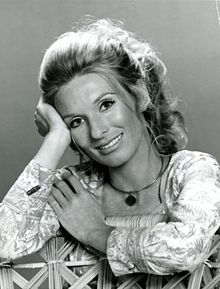 One year before (the then) Princess Juliana’s eighteenth birthday, American actress and comedienne Cloris Leachman was born in Des Moines, Iowa – she’s celebrating her ninety-second birthday today. 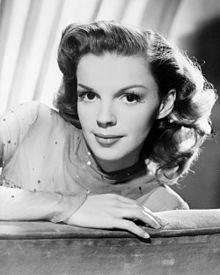 A former beauty queen, award-winning Leachman’s stage and screen credits are numerous, including Lassie, Butch Cassidy and the Sundance Kid, Rawhide, The Last Picture Show, Malcolm in the Middle, Young Frankenstein and The Muppets. Living in Canada, I watched US TV and remember her from The Mary Tyler Moore Show and her character’s spin-off sitcom, Phyllis – very funny lady, IMO. Rather younger than Cloris at thirty-six, American/German actress Kirsten Dunst also celebrates her birthday today, as does Canadian actor, singer and dancer Andrew Michael Edgar (Drew) Seeley who shares Kirsten’s date of birth. Could have been worse; I share my date of birth with Texan serial killer Genene Jones, who is currently serving a ninety-nine year prison sentence for multiple child murder. 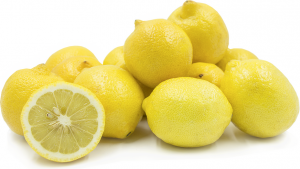 Bringing up the rear, today UK comedian Leigh Francis (better known as Keith Lemon) will have forty-five candles on his cake – a lemon sponge, perhaps? So sorry. Drifting slightly off-piste, on 30th April 1988, the first Californian condor conceived in captivity was hatched at the San Diego Wild Animal Park. The avian celebrity was called Moloko, being the Northern Maidu Indian word for condor, thus acknowledging their respect for the birds. It was an immensely expensive project to save the condor from extinction, running to millions of dollars. Might I suggest this was the Day of the Condor? You’re right – I won’t do any such thing. In July 1993, British forensic scientists announced that they had positively identified the remains of Russia’s last tsar, Nicholas II, along with his wife, Tsarina Alexandra and three of their daughters. The team used mitochondria DNA fingerprinting to identify the bones, excavated from a mass grave near Yekaterinburg in 1991. It was on the night of July 17 1918 – almost a hundred years ago – that three centuries of the Romanov dynasty came to an end when Bolshevik troops executed Nicholas and his family, plus servants, almost certainly on the orders of Lenin – the details of the execution, along with the location of their final resting place remained a Soviet secret for more than six decades. To prove the identity of Alexandra and her children, scientists took blood from Prince Philip, her grand nephew. Because they all share a common maternal ancestor, they would also share mitochondria DNA, which is passed almost unchanged from mother to child. The Tsar was identified by exhuming and testing the remains of his brother, Grand Duke George. That left Crown Prince Alexei and one Romanov daughter, Anastasia, unaccounted for – apparently it wasn’t her cavorting with Christian Grey in Fifty Shades. 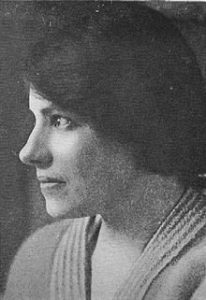 Nor was it Anna Anderson, a Polish woman who persistently claimed (amongst others less convincing) to be the Grand Duchess. She moved to Virginia, USA and died there in 1984, still maintaining her spurious heritage. On 30 April 2008, Russian forensic scientists confirmed that DNA from remains they’d tested belonged to Alexei and his sister Anastasia. This followed the discovery in August 2007 of two burned, partial skeletons at a site near Yekaterinburg. Archaeologists identified the bones as from a boy roughly between ten and thirteen at the time of his death and a young woman aged between eighteen and twenty-three years old. Alexei and Anastasia were thirteen and seventeen years respectively, when they were killed. 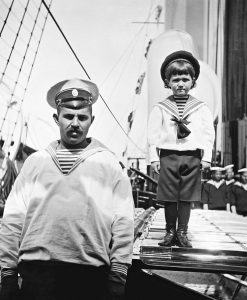 Incidentally, Alexei had inherited haemophilia B from his mother Alexandra, a condition that could be traced back to her maternal grandmother, Queen Victoria. He had to be careful not to injure himself because he lacked factor IX, one of the proteins necessary for blood to clot. It was so severe that trivial injuries like a bruise, nosebleed or tiny cut were potentially life-threatening and two naval officers were assigned to supervise him to help prevent injuries. They also carried him around when he was unable to walk. As well as being a source of constant worry to his parents, the recurring episodes of poor health and recovery significantly interfered with the boy’s education. According to his French tutor Pierre Gilliard, the nature of his illness was kept a state secret. Disgustingly healthy #2 GD was five on 26/4 (which doesn’t seem possible!) 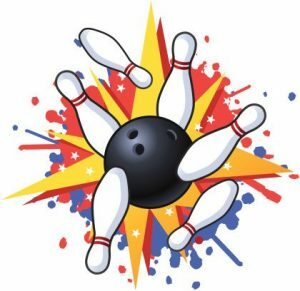 and her birthday party was held on Saturday – she discovered ten pin bowling when we took her during the Christmas holidays and asked to have her party there. #3 son specifically timed his periodic trip home from foreign parts so that he could attend, in his capacity as everyone’s favourite uncle. Must say it was quite painless, as staff organised invitations, food, party bags etc – all the parents had to do was herd the guests from shoe swap to lanes and back again, on to the restaurant, provide a cake and pay the bill. Oh, and make sure none of the little dears sustained injury when heaving too-heavy balls around – plus it’s advisable to have at least one adult stationed to the rear of lanes requisitioned for party use, primed to dive in and rescue any child who gets their fingers caught in the holes and ends up gliding majestically toward skittles and machinery. Thanks again for having me, Jen – and toodles y’all! Many thanks as ever Nell!! Always fascinating. Similar interests as ever. Loved all the Russian Royal Family info. It was always a mystery I longed to have solved. DNA and particularly any Forensics is a huge interest of mine. Celine Dion – never saw her on Eurovision, think I watched ABBA in the 1970s and then gave up on it. Did work with one of her producers – super star Humberto Gatica – on one of our artist’s albums in the 1990s. He was amazing and known for his tip top vocal production. Have you seen her singing with the Bee Gees? Amazing to watch. Love your posts Anne. Thanks Jenny. Wonderful. Just watched it, Jane – brilliant video, and I want her posh frock!